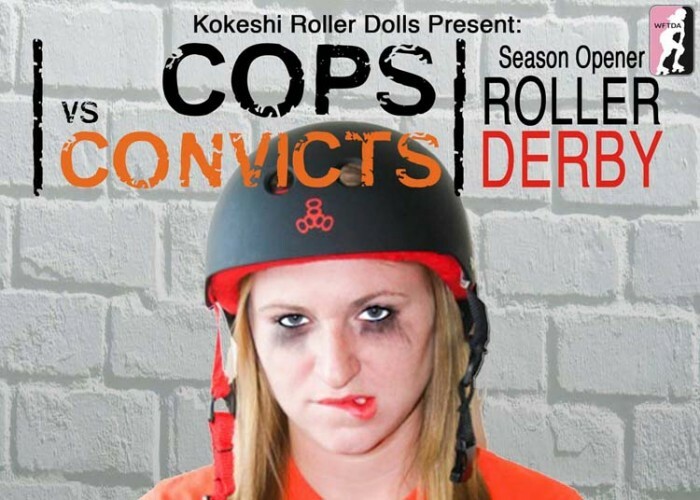 The Kokeshi Roller Dolls are taking their warm up laps on the oval hardwood in anticipation of their Roller Derby League season opener coming up September 20th. “Cops vs. Convicts” is the theme of the night as the Roller Derby League action pits the Kokeshi Roller Dolls against the Devil Dog Derby Dames at Marine Hangar 3 off of Douglas Ave on Kadena Air Base. Admission is free, and concessions will be available. Fans are encouraged to dress up and join in the fun. Doors open at 5 p.m.